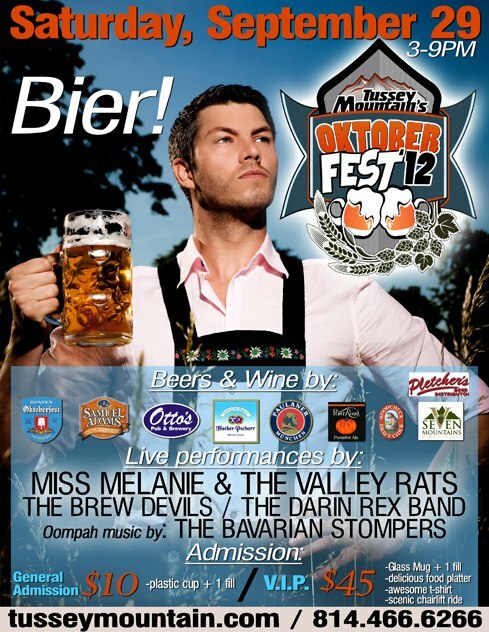 Introducing the First Annual OktoberFest event, going down this Saturday, Sept. 29th at 3pm at Tussey Mountain! Go out and join this all-ages (youth 12 and under are free) shin-dig, which will feature authentic bavarian clothing, music, decorations, food and beer! There will be a pig roasting, stuffed with brats and sauerkraut for goodness sake!